Welcome to Design Thinking. What exactly is it? Gutenberg, Edison, Galileo, Hollerith, Graham Bell… Most of their successes share one common denominator called “trial and error”. Legend has it that Edison, while striving to invent the electric light bulb – a process which involved hundreds of failed tests – was asked about the origin of his failures. His answer was always the same: he said he created his bulb in “one thousand steps”. That vision of how to develop an idea by considering multiple scenarios makes him one of the precursors of current techniques such as testing, prototyping or constructive interaction… employed nowadays in design and creative processes. As a work methodology, Design Thinking allows for innovation focus in uncertain environments with an agile mindset and helps reduce the risks that are often linked to the development of new projects, products or services. It revolves around comprehending the real needs of users and putting forward solutions, and is geared toward a collaborative, iterative style of working. Empathy: satisfying the needs of the end customer or user is the main objective and, to this end, we must put ourselves in their shoes. Teamwork: foster collective thinking, apply divergent thinking (with multiple solutions, whether possible or impossible) and convergent thinking (selecting the best solution to a problem). Prototyping, validation and testing, given that, prior to being able to continue with the work, it must be accepted by all those who are involved in the process. Analysis by means of testing, identification of errors and implementation of solutions. Use of creative spaces, so as to promote greater interaction and communication between employees. Thanks to fostering more relaxed atmospheres, creation becomes an enjoyable process, leading to a state of mind in which we give free rein to our full potential. Development of techniques with a largely expressive visual content. This results in us putting both our creative and analytical mind to work, thus producing innovative – and, at the same time, feasible solutions. Design Thinking is a methodology applied to the design of innovative products and services, whose main premise is focusing on the customer in order to detect their real needs, continual validation and iteration so as to offer exactly that solution which provides value. Scrum, Agile, Lean, Kaban… There are hundreds of methodologies for generating workflows that enhance productivity and innovation in business processes. 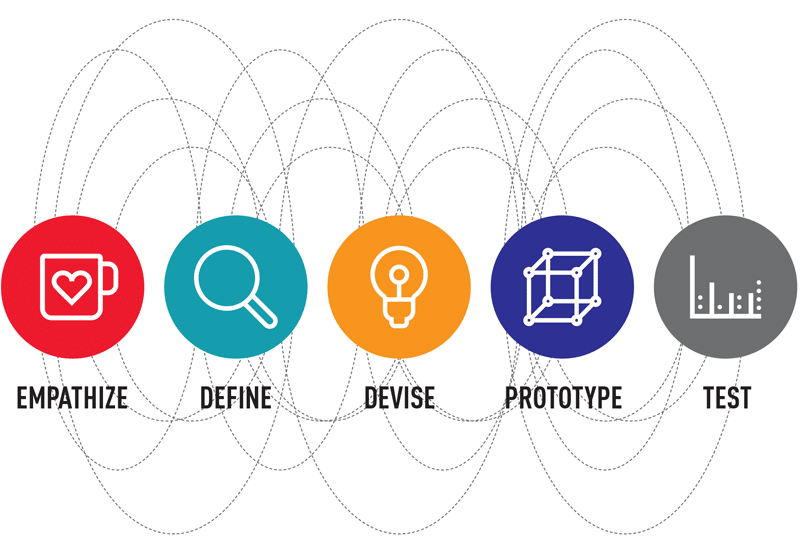 What is the distinctive benefit of Design Thinking compared to other working models? They are complementary. All of these innovation methodologies are complementary and can be applied at different stages of the innovation process in MAPFRE. Design Thinking adds value in the initial stages of the innovation process. When faced with a certain challenge, we must understand our customers in order to come up with solutions that can meet their needs and offer them a proposal they perceive as something that benefits them. Scrum, Agile, Lean StartUp or Kaban focus on the prototype and pilot phases, essential for obtaining feedback about the new product or service before launching it on the market. The concept of “failure as experience” on which Design Thinking is based, is closely linked to how startups operate. How can major corporations adopt this premise and incorporate it into their corporate culture? In innovation, failure is considered part of the learning process. Innovation methodologies allow us to adjust metrics and test in a controlled manner, which can enable us to quickly conclude that our solution will not be accepted in the marketplace, at least at that moment in time. The decision to abandon a project in time is not a failure in itself; on the contrary, it avoids a possible failure in the eyes of the market, with the consequent loss in terms of finances and resources. Understanding failure as part of the learning process, and not penalizing it within traditional organizations, forms part of the cultural transformation toward innovation. We must be able to disseminate these learning processes within the organization, drawing on both the good practices and the mistakes made. From your experience, does the training of employees and adoption of Design Thinking in business processes increase the number of early adopters in companies? Does it enhance the penetration of innovation in the initial phase? To get businesses to adapt to changes in their environment, cultural transformation is needed at all levels. Training in tools such as Design Thinking helps make the penetration of innovation in organizations possible. However, the application of this methodology alone will not result in a company adapting to the market and achieving its objectives. Awareness, acceptance and readiness to change are indispensable throughout the organizational structure. 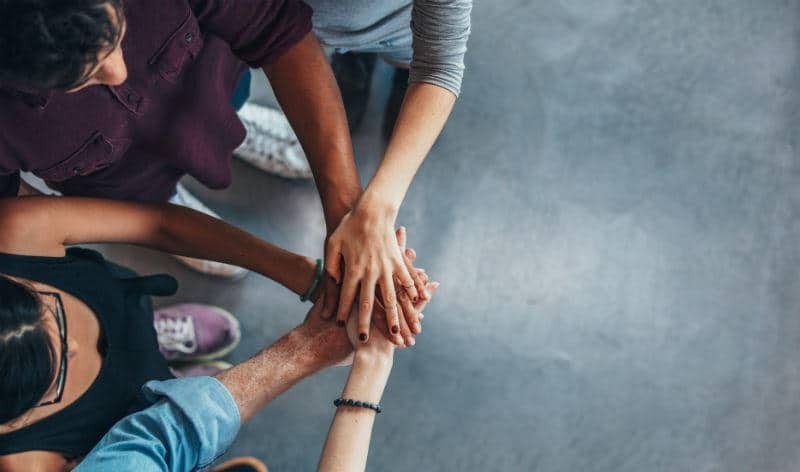 Understanding the changes that affect the business, the observation and analysis of our environment, as well as the sharing of all this information, are key actions for the cultural transformation of the company.